The CVRR Trail is a biking, jogging, and walking trail that traverses 7.5 miles from the Shawmut Mill Village. The trail lies directly on top of what was once the Chattahoochee Valley Railroad that serviced the four textile mills of the area. The railroad carried passengers, cotton, cloth, and supplies between the Shawmut, Langdale, Fairfax and Riverdale mills. Today, this trail ties together all the mill villages that compose the City of Valley and passes the majority of 18 historic landmarks in the area. The Northern Section of the trail is 1.4 miles long and the Southern Section of the trail is 5.6 miles long with a .5 length of road and sidewalk connecting the two trails. From Montgomery, AL: Take I-85N to exit 79 right onto Hwy 29/20th Ave; immediately get in right lane. Turn right onto 35th Street, then left onto 22nd Avenue. Parking for the Trailhead will be at the end of the road. The Chattahoochee Valley Railway was constructed by the West Point Manufacturing Company to serve several cotton mills that it operated along the west bank of the Chattahoochee River. Operations began on the standard gauge line in January of 1897. 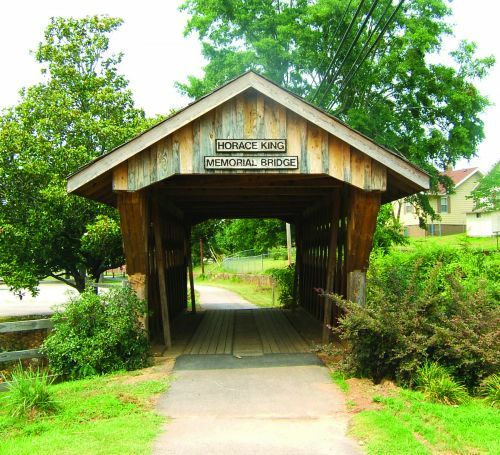 The first section to open was a 10-mile link between West Point, Georgia, and the mill at Riverview, Alabama. The line was soon extended about 7 miles to Jester, Alabama. 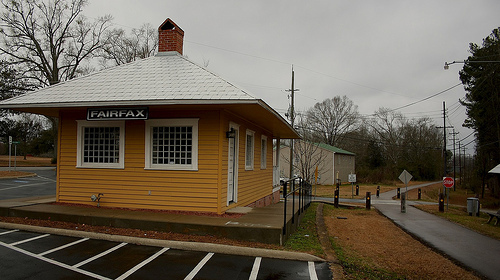 In 1916 the railroad was extended to Bleeker, Alabama, on the Central of Georgia between Opelika and Columbus, giving the line south of West Point a total length of 27 miles. In 1908 the rails were extended north from West Point to a connection with the Atlanta, Birmingham and Atlantic at Standing Rock, Alabama. This section was abandoned in 1932. In 1974 the tracks between Bleeker and McGinty, near Riverview, were abandoned. The entire railroad ceased operations in 1992.